Family Encyclopedia of World History Anon. 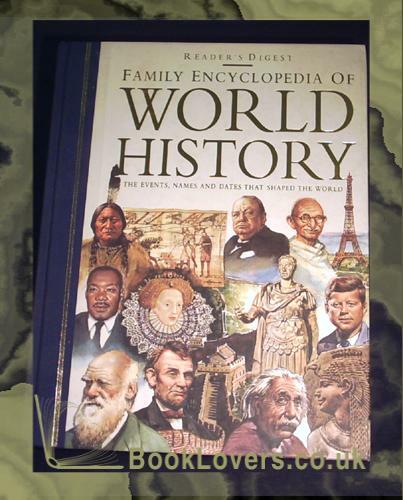 Family Encyclopedia of World History - Anon. Reader's Digest, 1996, Hardback (Laminated Boards). The grand sweep of world history in 752 information-packed pages. More than 3,000 A-Z entries for quick reference to key people and events. In-depth analysis in more than 140 extended features. More than 1200 illustrations including maps and reconstructions. At-a-glance time charts listing 1700 highlights in history. Size: 11¼" x 8½". 752 pages.